This weekend, Create's culinary pros craft their favorite sandwiches. First, Sara Moulton offers an hour’s worth of time-saving tips and techniques for surviving the holiday. Nigella Lawson serves up a toasted brie, Parma ham and fig sandwich. 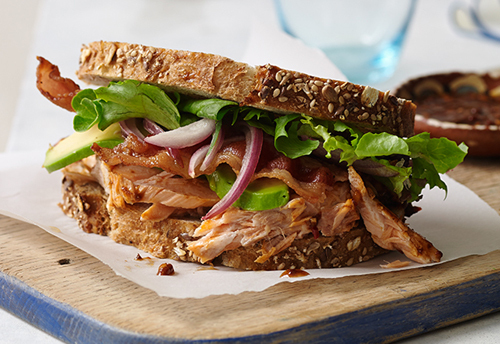 Pati Jinich prepares a chipotle salmon, bacon and avocado sandwich. Julie Taboulie plates shawarma piled high with lamb. Martha Stewart reimagines a chicken club, a po'boy, muffuletta, a fried-egg sandwich and a classic Reuben . And Christina Pirello offers healthy, whole-grain alternatives to white bread and mayo. CREATE Marathon: Which Sandwich airs Saturday, November 24 from 6 p.m. to 12 a.m. and Sunday, November 25 from 1 p.m. to 6 p.m. on WXXI-CREATE.